Agriculture Secretary Dan Glickman had been in office for 18 months when his staff got the call. The State of the Union was in two weeks and he’d be “the odd one out,” so to speak. 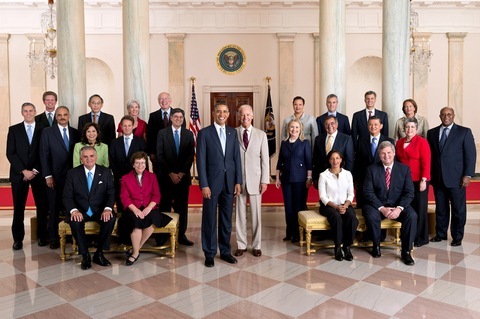 By tradition, one Cabinet secretary is chosen every year to be the “designated survivor” and skip the president’s speech in the case that those seated together in the confined Chamber — including the president, vice president, Supreme Court justices and the remaining 14 Cabinet secretaries — were wiped by an attack on the Capitol and the line of presidential succession was no longer functional. The White House announced late Tuesday that outgoing Energy Secretary Steven Chu would not attend the State of the Union this year. In 2012, Agriculture Secretary Tom Vilsack was told to miss the speech. The previous year, President Barack Obama chose Interior Secretary Ken Salazar, the sixth interior secretary to be absent since 1984. And in 2010, Housing and Urban Development Secretary Shaun Donovan was requested to stay away from the Capitol. But since Secretary of State Hillary Rodham Clinton was also away attending a conference in London during the speech, she would have taken reins in the event of a disaster. The president’s first designated survivor was Attorney General Eric H. Holder in 2009. Continuity of Government, according to the Department of Labor website, is a procedure in place “to ensure survival of our constitutional form of government and continuity of essential federal functions under all circumstances.” And while Cabinet members were initially chosen in the case of a nuclear attack, the process gained renewed relevance after 9/11. The selection process isn’t exactly transparent. Nor is it as imaginative and iconic as this West Wing scene. Those chosen are told to be discreet. While some “survivors” in the past had stayed in Washington for the speech and ordered pizza, Glickman, who served from 1995 to 2001, told the NewsHour that he was asked to leave town for the 1997 State of the Union. His hometown of Wichita, Kan., was too far a trek for the Secret Service, so, instead, he decided on New York to visit his daughter and watch the speech on television. He flew out of Andrews Air Force Base with a physician, a security detail and “a man with a suitcase who presumably had the nuclear codes.” When he arrived at LaGuardia Airport, a small motorcade drove him to lower Manhattan where his daughter lived. When the speech was over, the Secret Service asked if he wanted a lift back to Washington, but Glickman said he’d stay to have dinner with his daughter in the city. Here’s a full list of cabinet members who did not attend the State of the Union since 1984, as compiled by the Senate Historical Office. For more State of the Union coverage, visit NewsHour’s politics page and tune-in to our special on-air and online coverage beginning at 6 p.m. ET Tuesday. What’s the State of Our Union?